A free, ALL AGES community event – this is a fun day bringing together volunteer ‘makers’ (people with a skill or passion to share) with anyone who wants to learn. 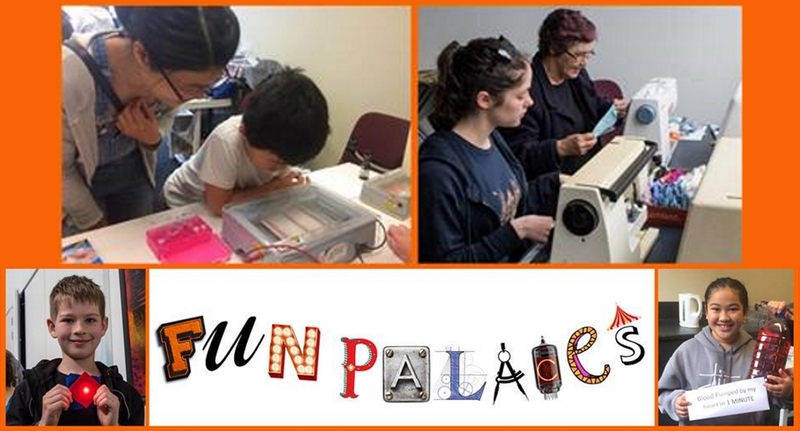 Made by and for locals, the FUN PALACE brings together arts and sciences, crafts and tech, free and fun! Everyone an Artist, Everyone a Scientist!